The Ultramat® UFM-T automatic drain valve has a very compact design for use in small installations. A coated housing, membranes and o-rings of Viton, sensors without moving parts, condensate entry from the top and rear side are amongst the features offered by the Ultramat UFM-T condensate drain. A sloped display, which enables easy reading, and a sophisticated electronic control are features all included in this compact unit. A potential free alarm ensures safe operation. A selection of voltage ranges from 24V to 230V, and for the sizes 20 and 100 the option of with or without heater is available. The Ultrasep™ Superplus N takes care of your oil/water separation and also fulfils the legal demands. 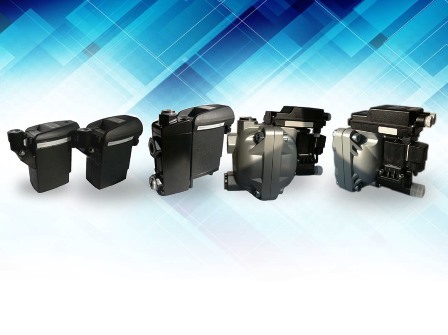 A range of 7 sizes from 120 m³/h to 7.200 m³/h takes care of all your oil/water mixtures of air compressor condensate and fulfils your requirements for filtration solutions. 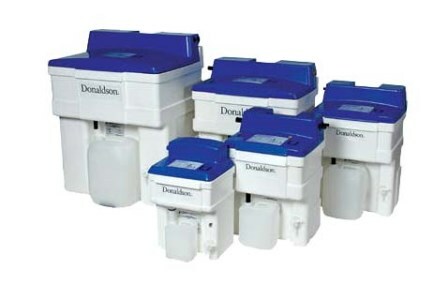 Donaldson has developed the Ultraaqua™ for the processing of stable oil/water emulsions of compressed air condensate, and can guarantee a filtrate quality of better than 5 ppm. You benefit from special features such as a LC-display, ceramic membrane, Viton seals and frost-protection for the membranes by means of a sensor-controlled heater system.